Lord Rama decides to leave his comfort zone for fourteen years and ends up connecting with lesser mortals better. Likewise, CEOs and marketing honchos of today who travel through the hinterland to get a better first-hand feel of the customer’s pulse do a far better job of servicing the market. An alliance with Sugreeva, coupled with an out-of-the-box unconventional army, eventually leads to Sita getting traced and Ravana getting vanquished. Mergers and alliances based on mutual respect and trust leads to better market share. Mighty objectives can be achieved even based on frugal resources. Beware of sycophants. A couplet in Sundara Kanda of Ramcharitmanasa clearly advises us to ignore the advice of a paid deputy, a doctor and a teacher who speak positively out of either fear or expectation of a gain. A king who acts upon such motivated advice loses his kingdom, his body and his righteousness (dharma) as well. When Sita gets banished from the kingdom, Rama’s role is not much different from that of a true-blue CEO whose loyalty to the company’s overall welfare is unflinching. CEOs and managers who entertain amorous intentions in respect of women team members and managements which look the other way just because they accord a higher priority to business goals than to the character of their top honchos could take a leaf out of Rama’s conduct. The attachment of Dhritarashtra, the blind king, to his evil son, Duryodhana, proves to be highly destructive in nature. The entire Kuru clan gets eliminated. CEOs who promote their kith and kin without assessing the overall welfare of an organization get doomed likewise. Same holds true for many a political outfit. Arjuna’s skills in archery are well-known. He achieves mighty feats based on his power of intense concentration on the job at hand. Multi-tasking, a misleading buzzword in current business parlance, has no place in his dictionary. The perseverance of Pandavas eventually pays off. Repeated setbacks do not deter them from seeking their share in the kingdom. War follows only when even a settlement with five villages only gets turned down by Duryodhana. The tenacity of bouncing back in the face of adversity that Pandavas display is worth emulating by MNCs which try to penetrate the Indian market. The unity of purpose amongst the five Pandava brothers is exemplary. Theirs is a unified and invincible family which goes through its trials and tribulations as a single unit. Likewise, large conglomerates like Tatas draw their strength from a set of core values. Each company within the group’s fold has a unique place in the market. The companies operate in fields as disparate as salt and software. Yet, all of them are connected by a common value system and a similar business philosophy. 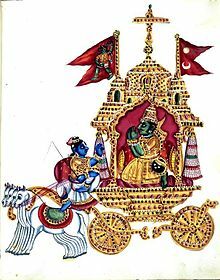 The manner in which Krishna persuades a demoralized Arjuna to take up his arms by enunciating the basic principles of life in the Bhagavad-Gita is exemplary. One of the basic concepts enunciated by Krishna in the Bhagavad- Gita is that of the everlasting nature of the soul. The concept of a soul now finds a resonance even in modern management literature. In ‘The 8th Habit’, Stephen Covey urges professionals to pay heed to their ‘inner voice’. While proposing the whole person paradigm, he speaks of the four dimensions of a person – spirit, body, heart and mind. Over its eighteen chapters, Krishna propounds the intricacies of different forms of Yoga, a philosophical system which treats all life as a management enterprise. It exhorts managers to be impartial, not favouring any one goal, any one mode any one or group of persons. A manager’s goal is the total overall good, in keeping with environmental necessities and societal requirements. He is not swayed by happiness or sorrow, ego or nepotism, greed or desire. He is not swayed by external temptations of tangible, material success and thus attains a state of happiness, peace and contentment. He radiates positivity and his decisions bring happiness sooner or later to maximum number of people. In other words, detachment is the key takeaway from Bhagavad-Gita. Detachment from the rewards of any work or action taken results into a neutral state of mind. composition. It has 1,330 couplets or ‘kurals’. 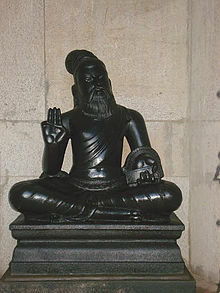 It was authored by the renowned poet Thiruvalluvar. It is replete with words of wisdom. It is simple and contains profound messages. Thirukkural has 133 chapters, each containing 10 couplets. Broadly speaking, all the 133 chapters can be divided into three sections: Righteousness, Wealth and Love. Even though the contents are meant for kings of yore, many of the messages are equally relevant for CEOs of business world. Each ‘kural’ is complete in itself. It deserves to be meditated upon, one at a time, and imbibed in our day-to-day lives. One wonders at the keen observations of the poet, his sagacity and the effort he has taken to collate and compile this beautiful work, replete with words of wisdom which continue to be as relevant today as they were in the days of yore. Chanakya is a well-known Indian teacher, philosopher, economist, jurist and royal advisor. 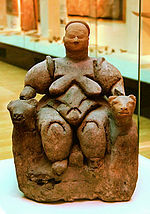 He is said to have lived from 350-275 BCE. He authored the ancient Indian political treatise, the Arthshastra. He is considered a pioneer in the field of political science. He assisted the first Mauryan emperor, Chandragupta, in his rise to power. He is widely credited for having played an important role in the establishment of the Mauryan Empire. One of his seminal works happens to be Chanakya Neeti, or Chanakya’s Aphorisms. It is a treasure trove of wisdom and speaks of the criteria to be used to judge people, the need for keeping one’s intentions confidential, the value of continued learning, situations wherein it pays to be a hypocrite, the supremacy of one’s duty, and the like. He draws an interesting analogy between the animal kingdom and those who waste their time criticizing others. He holds such persons to be worse than the crows amongst birds and dogs amongst animals. Profound thoughts of one of the prominent Indian seers of modern times, Sri Aurobindo, could be interpreted to propose a different paradigm of management. Whereas the Western model of management thought is based on such functions as Marketing, Finance, Production and People, the Eastern model, so to say, could be said to comprise four pillars of management: Perfection, Harmony, Power and Wisdom. Collectively, this paradigm could be called Integral Management. Analyze the conduct of any business leader and one is apt to find the underlying presence of all these elements. It does not matter whether a manager handles marketing, finance, production or human resources. It is by striving for perfection that one achieves excellence in results. Being perfect implies putting our best foot forward and doing our best under the given circumstances. It is the striving for perfection which assumes significance. When Apple launches a new product, the whole market is abuzz. The toil and hard work which goes into creating and launching a new product is exemplary indeed. A harmonious conduct with respect to all key stakeholders is essential for sustained success in business. Relations with financial institutions, regulatory authorities, customers, distributors, suppliers, staff and labour need to be based on a harmonious blend of business needs and the principles of natural justice. The manner in which the Taj Hotel management responded after the 26/11 terror attack is a shining example of harmonious conduct of business. Use of power with a sense of responsibility, that too for the greater good, leads to higher brand equity for a business. Marketing prowess can influence customers’ decision making, and has to be directed at their needs and not wants. Financial strength can also be leveraged to do something useful for the society. Administrative authority comes with a great deal of responsibility. The case of Dr Pachauri being shown the door by TERI in a sexual harassment case is just one of the several examples of how the high and mighty should not exercise the power at their command. Wisdom in decision-making leads to a sustainable business, which gives back to the society and the environment what it draws from the same. In September 1898, Jamsetji Nusserwanji Tata decided to set aside half of his wealth as an endowment to establish a university of science. His donation was worth Rs. 30 lacs in those days. The other half he left for his two sons. The Indian Institute of Science eventually came up in 1911, paving the way for quality research and teaching in India. This is the kind of unique learning which an aspiring manager receives in her formative years in the Eastern world. Successful CEOs and managers of the future would need to be those who have a Western Mind and an Eastern Heart. The success of the likes of Satya Nadella (currently the CEO of Microsoft) and Sundar Pichai (currently the CEO of Google Inc) goes on to show the growing importance of managers who are not only exposed to the Western models of management but also steeped in Eastern wisdom in the realm of management. 1. You are publishing your book in Portugal in March. What’s your relationship with Portugal? Why Portugal to publish your book? It would be recalled that the relationship between our two countries goes back quite a few centuries. At the personal level, I have several friends from Goa and Cochin in India, both of which were the seat of power for Portugal till the 1960s. I have always people from these areas to be highly committed but fun-loving at the same time. At the professional level, having worked in the leather footwear industry for a long time, I had occasionally been in touch with some such businesses in North of Portugal. Some time back, I came across CEO World, and felt connected to your lovely country. Relationships evolve over a period of time. It is time to improve the engagement between our two countries. Traditional knowledge and management wisdom is just one facet of the possibilities. That is how, the thought of publishing a book here came up. 2. Amazon said recently that they will not fail to be a major player in India (as it happened in China). They will invest much more this time. How do you see the opportunities for Portuguese companies in India? Against the gloomy backdrop of major economies, India happens to be a bright spot in the world today. The new government has grand plans for development and is taking steps to improve the ease of doing business in India. The potential in the semi-urban and rural pockets of India is great. Portuguese businesses have a unique opportunity now to enter into tie-ups with companies of Indian origin. 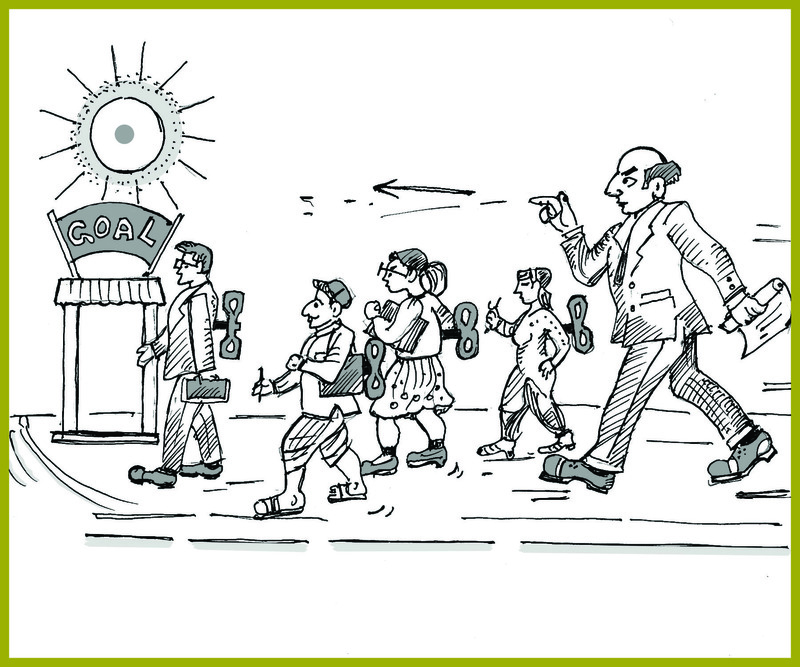 Globally, the largest pool of educated manpower willing to work hard is available in India. History has taught Indians to live harmoniously together, despite wide-ranging diversity in terms of religion, languages and castes. These are unique strengths which can be effectively leveraged by businesses in Portugal. Companies which want to do business in India would do well to (a) Identify their key strengths which would be of relevance to India, whether in the field of infrastructure, renewable energy, farm productivity, leisure and tourism, etc, (b) Take the help of experts who can put them in touch with reliable business partners in India, and (c) Be clear and patient about the characteristics of the market segment they identify to cater to. 3. “Surviving in the Corporate Jungle” mixes humour with management. Why do you think it should be read by Portuguese managers? Management concepts are universal in nature. When you wish to motivate your team members, it does not matter whether you are in Porto or in Mumbai. When you are down-sizing, the challenges are the same, irrespective of whether you are in Lisbon or in Delhi. Portuguese managers who follow one of the effective habits popularized by Stephen R Covey – KEEP SHARPENING YOUR SAW – would greatly benefit from the managerial wisdom of India. The messages conveyed in the book are serious in nature. Their packaging is not. Profound truths conveyed with a dash of humour, I believe, have a better chance of being effectively communicated. 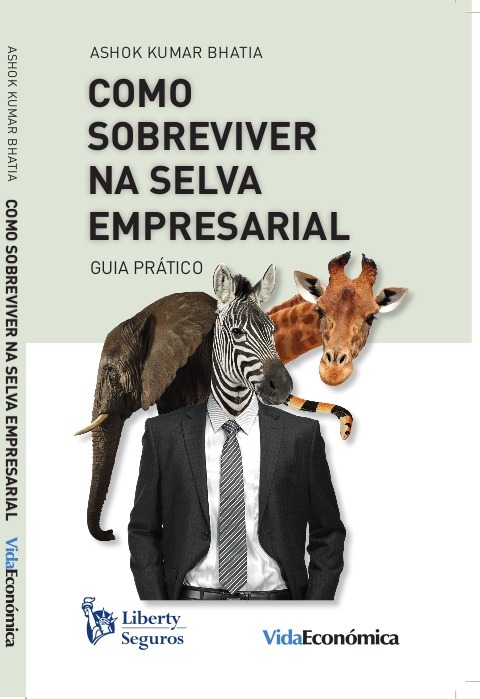 I believe the upcoming book can help managers in Portugal and elsewhere become smarter, in other words, more effective. 4. Why did you decide to become a founding member of the Portuguese start-up CEO WORLD? We live in times when the world is shrinking faster than ever. We are at the cusp of a new kind of ‘Industrial Revolution’ which is knowledge-driven. Call it a ‘Binary Revolution’, if you will. 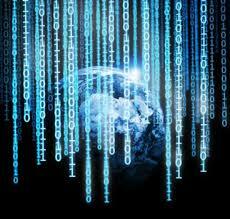 Technology is making information more democratic in nature. Start-ups which enable sharing of management practices across the world serve a useful purpose in the society. Moreover, when we share challenges and discuss possible solutions on a global platform, we gain in terms of empathy and expand our consciousness. We are then making a small but significant contribution towards global harmony, much like a small group of violinists which is a part of a grand orchestra. For example, one of the platforms CEO World offers is that of Peer Groups. Here, I get to share my current challenges with CEOs from all over the world on a video conference platform. There is no conflict of interest, there is accountability, and there are no travel costs involved. 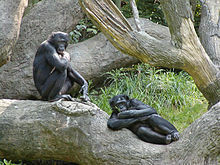 As and when one is visiting each other, one can take the discussion forward. Peer Groups have been in operation since the last 60/70 years in such countries as the US, Canada, AU, NZ and UK. But the novel idea being practiced at CEO World is that of virtual peer groups which are global in nature. This is a disruptive concept led by a Portuguese start-up. 5. What are your plans for the future and how do you envision your relationship with Portugal? As a person who suffers from ‘Professoritis’, the plans are for an enhanced level of engagement with the management institutes and associations in Portugal. Another book proposal is on the drawing board. Given support, I would love to do a book comparing the managerial styles of CEOs in Portugal and in India. It would also be exciting to connect with Portuguese companies who want to have a better understanding of the Indian culture and market and vice versa. Perhaps I can make a modest contribution towards building more bridges between our two countries. This gets aligned with the mission of CEO WORLD: of decreasing the gap between cultures and bringing about a better understanding between the two populations. This is in continuation of an earlier post, providing a short introduction to a book by yours truly. The Portugese version of the book is getting launched in Portugal shortly. The launch event in Porto is planned on the 2nd of March, along with a talk on “Work Life Harmony” at the Catolica Porto Business School of Universidade Catolica do Porto. Why the reference to a jungle? One, it is fashionable these days to talk about environment and sustainability. Two, in many ways, the type of organizations we work in and the kind of people we meet there, many parallels can be drawn. I believe there are three kinds of organizations: the Circus kind, the Zoo kind and the Jungle kind. Whatever the kind you work for, you get to see Lion King bosses who are the lords and masters of all they survey. Mentors who keep an eye on the quality of work that you do, much like a giraffe would. Colleagues who are like enchanting deers, always willing to support you. Subordinates who are snakes in the grass, waiting for an opportunity to back-stab you. Customers who are as prickly as a porcupine. Suppliers who are as cunning as a fox. Fed up with a company? Change over to another one. You would still find people there with similar traits. Only the names and the faces would change. In other words, there is no escaping the jungle! My friends, philosophers and guides: They continued to egg me on to write a book of this kind – late Prof. S. P. Singh, Ashok Kalra, S. P. Krishnamurthy, Vipin Dewan, C. S. Dwivedi, Prof. R. P. Raya, and a few others. Thought leaders, like Peter F. Drucker, Philip Kotler, J. R. D. Tata, C. Northcote Parkinson, Laurence J. Peter, Ratan Tata, Sharu Rangnekar, Stephen R. Covey and many others. Hapless souls who have undergone the trauma of going through and commenting upon the rough portions of this book: Miguel Dias, Founder, CEO World, Jose Antonio de Sousa, President & CEO, Liberty Seguros, Jack Jacoby, Executive Chairman, Jacoby Consulting Group Pty Ltd, and a few others. Those who have worked so very hard on the illustrations – thereby making the book a wee bit livelier. Vida Economica, the publishers, who showed the courage to pick up a whacky manuscript from an unknown first-time author. Quite a few others who have burnt the midnight oil, acted as proficient midwives and taken me through the labour pains of the editing and publishing process, ensuring that the baby got delivered. The souls which play the role of my immediate family members in this life, without whose support this book would not have seen the light of the day. Special thanks are due to my soul-mate and the very young ones, without whose support the book could have been finished in half the time it actually took to write. If any brickbats are to be hurled, those have to be unerringly directed at the author of the book. However, before flexing your muscles, please be so kind as to check if he is covered for such exigencies by any insurance policy issued by Liberty Seguros. With a higher level of uncertainty, a leader’s chances of failure would also go up. A failure which results into pain and suffering can also be taken as a boon, as time often proves. If the right lessons are drawn, the chances of a failure repeating itself in future can be drastically brought down. Consider these words of wisdom from Narad when he tries to explain to Savitri’s mother as to why she must marry Satyavan and suffer on the terrestrial plane. Leaders wear their crowns of glory. But the crown does not come cheap. The cost they have to bear is that of the cross they have to carry. In the times to come, the profile of the followers would also be different. Hierarchical authority is already proving difficult to manage change; there is no reason to believe this would not be even more so in the future. The followers would demand a higher degree of participation in the decision-making processes. Leaders who recognize this need of their followers and create a working environment which enables the same would achieve higher levels of efficiency and effectiveness in their business processes. 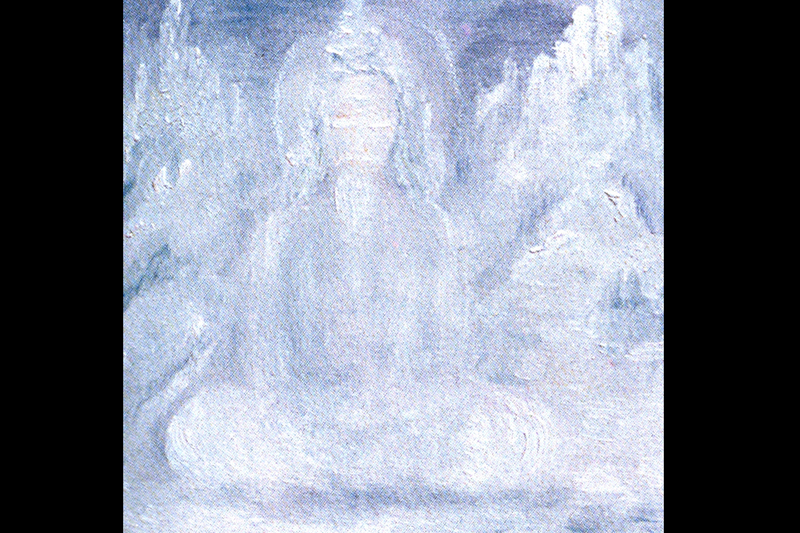 Savitri is undaunted. 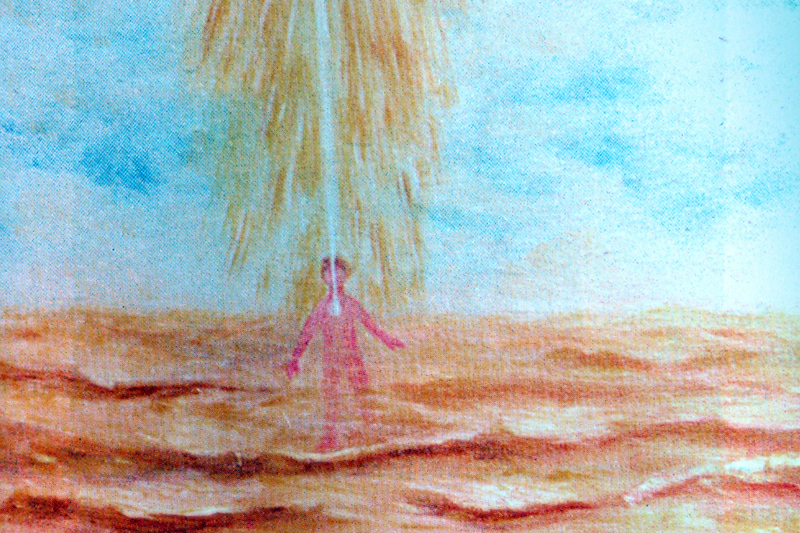 She points out that if this creation has arisen out of a meaningless void, if matter can come forth from energy, and life from matter, and mind from life, and if soul can peep through the flesh, what is wrong in hoping that the imperfect man of today will someday transform himself into the perfection of God? The God of Death eventually loses the argument, his authority and also his stature. But his greatness lies in the fact that he has the good grace to permit and then lose an argument to a person who looks like a mere mortal. Realizing her sincerity of purpose, he even grants her a boon. 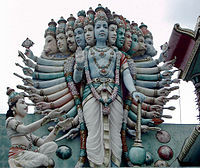 In Ramayana, the villain is Ravana, a highly learned and accomplished person. One of the reasons for his downfall is to neglect the advice of nay-sayers. 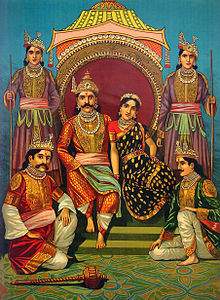 His wife, Mandodari, brother Vibheeshana and grandfather Malyavaan – all advise him to return Sita to Rama. Instead, he chooses to listen to his courtiers who play on his ego and pride and advise him not to do so. 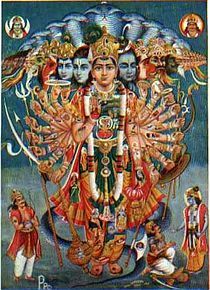 When Lord Rama decides to accept Vibhishana in his fold, he does not simply order the same. He consults all seniors present before arriving at a decision. One of the basic concepts enunciated by Shri Krishna in the Bhagavad Gita is that of the everlasting nature of the soul. The concept of a soul now finds a resonance even in modern management literature. In ‘The 8th Habit’, Stephen Covey urges professionals to pay heed to their ‘inner voice’. While proposing the whole person paradigm, he speaks of the four dimensions of a person – spirit, body, heart and mind. When the likes of Siemens and Wal-Mart come clean on their misdemeanors, they set an excellent example of probity in the business world. When Mr. Ratan Tata, the Chairman Emeritus of India’s salt to software conglomerate, rues his inability to enter some fields of business because of the absence of a level playing field in India, his focus is on one of the core values of his business. 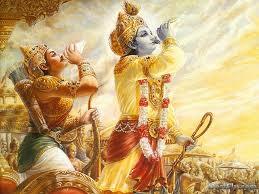 In a careful reading of the major turning events in the Mahabharata, Krishna emerges as an eminent strategist. He keeps Draupadi’s frustration under check. He knows that Kauravas would never agree to let Pandavas have their share of the kingdom in a peaceful manner. Yet, he himself goes to plead their cause so that peace is given a last chance. Eventually, all mighty warriors on the Kauaravas’ side fall with specific inputs from Krishna. In case of Bhishma, Arjuna attacks him standing behind Shikhandi. Dronacharya is misled to believe that his son Ashwatthama has fallen at the behest of Krishna. When Duryodhana appears to be invincible in his mace fight with Bhima, he gestures to the latter to hit the former below the navel, thereby incapacitating him. 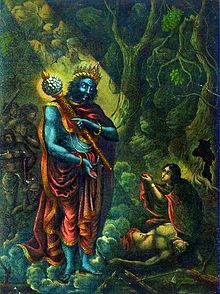 When Balarama gets upset with Bhima for having broken a cardinal principle in his final fight with Duryodhana, Krishna intervenes to pacify him by reminding him of the several injustices perpetrated by the Kauravas on Pandavas. Indian scriptures are replete with instances which demonstrate the importance of good values and ethics. Ramayana speaks of righteousness to be upheld at any cost. Mahabharata tells us to limit our ambitions and desires and be reasonable in life, lest a fate worse than death may befall us. Bhagavad Gita – the song celestial – is like an ocean full of practical advice for managers young and old alike. Chanakya Neeti is full of pearls of wisdom. All these are waiting to be explored by those who are interested in being spiritual as well as practical in their approach to problem solving and leading people to their goals. Leadership is a much discussed virtue in management literature. However, like Peter Drucker says, there is no ideal type of leader. “Leadership personality’, ‘leadership style’ and ‘leadership traits’ don’t exist”, he writes in The Leader of the Future. The emergence of a leader is the result of a complex interplay of two factors – personality traits of the leader and what needs to be done at a given point in time. The moment the two become congruent, a new leader could emerge on the scene and deliver the goods! I am convinced that the leaders of tomorrow would need personality traits which would be qualitatively different from those of today. Here is my take on what business environment (say, circa 2025) would be like, and how our future business leaders would be tackling it. • Business leaders in 2025 shall be working against the backdrop of a world which would, in all likelihood, be a multi-polar one, with Asia, particularly China, exerting more influence on global events. • It would be a world which would be more inter-connected, commercially and otherwise. • Thanks to new communication means, the individual empowerment levels would have risen significantly. Social paradigms would have transformed further, with a more individualistic mindset. Hence, employee expectations would be qualitatively different from what managers typically face today. • Also, it would be a more urbanized world. Thanks to the rise of a new global middle-class, society in general would have reached a higher level of aspiration, resulting into a much higher demand for energy, food and water. On the flip side, income disparities would have risen substantially. • Changes arising out of our climatic patterns would also pose a formidable challenge to the leaders of those times. Internet security concerns would perhaps be centre-stage. • Disruptive changes are quite likely to overwhelm us. These changes could come in the form of impact of new technologies in the field of robotics, biotechnology, space sciences and communication. Increasingly, governments world over may start becoming enablers of entrepreneurship, faced as they will be with direct and intensive pressure from those they govern. We shall surely be seeing more entrepreneurs amongst our midst – whether in the commercial sector or in the societal sector. For those who are quantitatively inclined, advanced statistical tools would become more sophisticated. There will be an overdose of data as well as information available to a business leader then. However, ultimately, his/her intuitive abilities would prove to be more valuable. Even today, most innovators think ‘out-of-box’. Businessmen, when creating a new vertical, are apt to take a leap of faith, that is, decisions off-the-seat-of-their-pants/skirts/sarees and not on voluminous reports of an analytical nature. A logical corollary of the above would be the need for a leader to be ahead of the curve. Those who have counter-intuitive responses and place a higher trust in their natural instincts would surely fare better. In Mahabharata, after the war is over, Pandavas visit Dhritarashtra to offer their respects and condolences. By using his intuitive skills, Lord Krishna is able to save Bheema’s life. When the uncle proceeds to hold Bheema in a crushing embrace, a metallic statue of similar dimensions is offered to him instead. Heaven’s greatness came, but was too great to stay. This day returning Satyavan must die. Intuitive abilities of a manager typically arise from three distinctive domains – the cultural upbringing, experience in one’s formative years and one’s value system imbibed from elders and role models. Regular meditation and introspection also helps. There would be a strong need for a much higher degree of inner resilience, because this alone would enable them to keep their stress levels under control even in trying circumstances. Dynamism will be yet another critical input. It would ensure that they are able to steer their businesses through the dense economic fog enveloping the business highways. This is where tenets of spirituality can play a vital role. 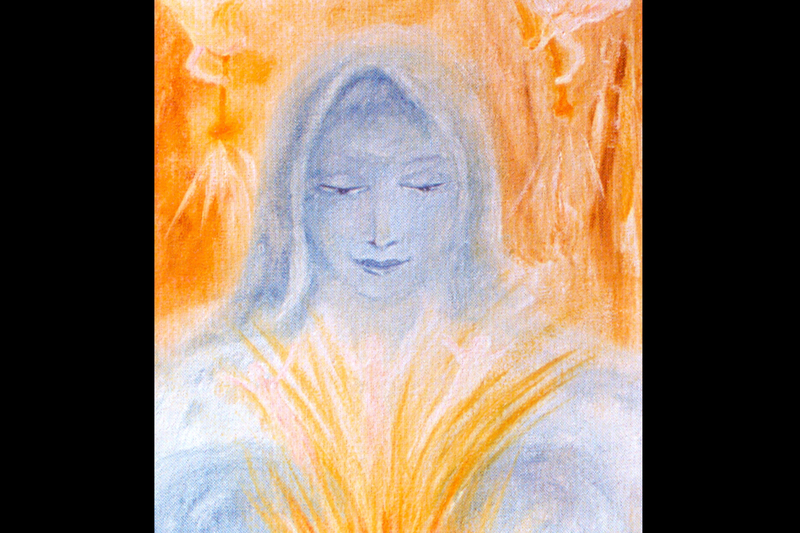 Take the example of the character of Savitri, as portrayed by Sri Aurobindo in his epic composition. She has fore-knowledge of the imminent death of Satyavan, her husband. Does she get scared? No. She faces the monumental task of facing the Lord of Death himself. She never gives up hope, displays exemplary courage and resilience and successfully reasons out the revival of her husband. She handles the whole situation all by herself, walking tall but lonely – as a true leader of humanity. ‘Whoever is too great must lonely live. 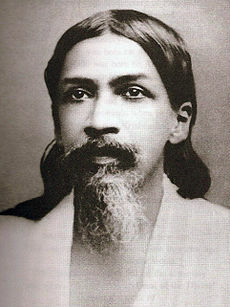 As a seer extraordinaire, Sri Aurobindo brings to us in a very concise form the symbolic affirmation of life on earth. He did not compose Savitri as a management treatise. But like all other scriptures, the epic poem contains invaluable lessons for potential as well as practicing managers. In the Ramayana, we see Lord Rama waging a war on Lanka with very limited resources, backed by an army which is pretty out-of-the-box or unconventional. It is an army which is highly motivated, expecting minimal facilities. The challenge of crossing the sea is also faced in a highly unconventional manner. Goes on to show the power of the dynamism of a true leader even when circumstances are highly unfavorable. The World Economic Forum had proposed a theme centered on the twin traits of resilience and dynamism for 2013. Given that there are no risk free growth models available to leaders and CEOs of the future, one could not have agreed more with this proposition. Given a much more inter-connected world, a business leader in the future would need to possess a vast knowledge of commercial, behavioral and societal norms followed in different parts of the world. A primary task would obviously be to ensure that his/her organization has world-class management processes. Only those institutionalizing best practices in strategic planning, marketing and human relations would be able to make their organization a successful one. The fact that a leader would, in all likelihood, be leading a multi-cultural team of followers would pose a challenge – irrespective of whether the situation demands a leadership which is ‘transactional’ or ‘transformational’. A self-less and inclusive mindset would imply taking on board all stakeholders in a situation that warrants an important decision to be made. A true business leader would work for the overall benefit of the society and environment at large. When Lord Krishna delivers the message of Bhagavad Gita on the battle field, it is not for the narrow purpose of Pandava’s victory. It is the song celestial, delivered for the benefit of the entire humanity. When Ashwapathy, the virtuous and noble King of Madra in Savitri, seeks a progeny, he does not behave like a sorrow-stricken childless King. He acts like a representative and true leader of humanity. He is engaged in a quest, but not for a personal gain like having a child. 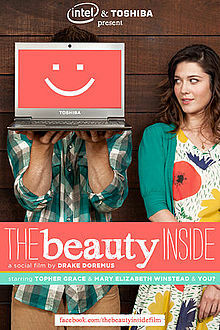 He is seeking that creative principle which has the power to end human frustrations, discontents and ills. He is doing so for the entire humanity. He recognizes the painful truth that neither science and technology, nor religion and art, have so far managed to free mankind from the clutches of ignorance, suffering and death. Is there a way the age-old aspiration of mankind seeking a union with its Creator could get realized? Can a higher power come down and help him achieve this goal for the sake of humanity? Aswapathy’s impassioned plea eventually wins the promise of grace from the Divine Mother. In the Ramayana, we do not like Lord Rama banishing Sita to the forest merely because an ordinary citizen had cast aspersions on her character. But he acts like a true blue CEO who shows no mercy when upholding the path of righteousness even at a huge cost in terms of personal happiness and comfort. When faced with higher levels of uncertainty, a calm mind and clarity of purpose become the sine qua non of success. According to one version of the Ramayana, both Rama and Sita are committed to the welfare of the people. They are aware that by remaining confined to their palaces and royal trappings, they would not be able to serve the purpose for which they exist. Thus, when an opportunity presents itself in the form of Kaikeyi’s demands at the time of His coronation, they accept the fait accompli with equipoise and leave their comfort zone with a great clarity of purpose. Note how Savitri declares the completion of her mission (to locate a soul-mate) to her father. I have met on the wild forest’s lonely verge. Savitri’s supreme self-confidence is revealed when she convinces her mother about the need of not changing her decision, despite Sage Narad’s prophetic announcement that Satyavan has only one year to live.